Obviously, the air in professional kitchens can quickly become contaminated. Evacuating heat, smells, and smoke is crucial to maintaining air quality and to avoid contaminating surrounding facilities. 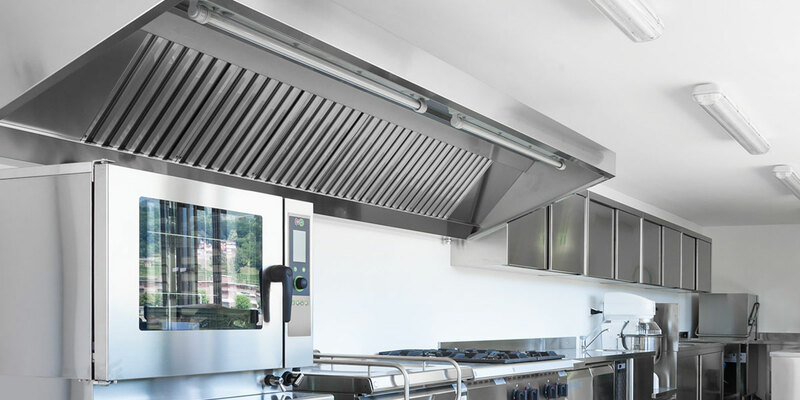 Quality ventilation equipment is an absolute must in a professional kitchen. Neglecting air quality can be risky, and costly! For chefs, drafts can be problematic in many ways: they can cause smell issues, blow out cooking flames, or cool food waiting to be served. Why make your life difficult with an inadequate ventilation system? Is your system constantly functioning at full capacity? IF so, the time has come to evaluate your ventilation options! A ventilation system basically pulls contaminated air outside of a designated space. Clean air is returned, heated, and filtered to remove bacteria and dust. Aside from these key features, how does your ventilation system compare to the best? High-end ventilation systems use thermal and optical sensors to control fan speed. These systems automatically adapt to the various types of cooking you do during the day! A computer controls fan speed through temperature and optical sensors that detect smoke and steam. When your kitchen is in full swing, ventilation is at its peak. When things get calmer, your system slows down. Cutting back on fan speed by 25% can reduce your energy consumption by 50%. Imagine the savings! Does preparing the food on your menu generate a lot of smoke and steam? Verify the position of heat sensors. When heat sensors a placed further away from the cooking surface, the system takes more time to respond. The more heat sensors, the better. A system with multiple heat sensors is more efficient and flexible. Carefully choosing an effective ventilation system for your current kitchen or a renovation project is important. You will save money, and avoid inconveniences! Atelier du Chef has the knowledge and expertise to guide you during this process. We offer planning and design services for professional kitchens and restaurants. Contact us today to speak with one of our seasoned advisors.